liability to pay undisclosed outgoings. consequences for a Landlord when a Tenant terminates under the Act. claims by Tenants for fitout costs if the Lease is terminated. As the managing partner at Eakin McCaffery Cox Lawyers, Tim also heads the firm's property department. 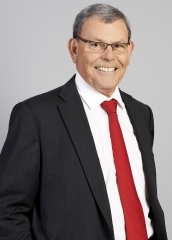 With more than 39 years of professional practice, Tim offers extensive, specialist knowledge of property law and has significant administrative law experience. He is known for his expertise in retail leasing, food chain developments and heritage property law. This webinar is suitable for lawyers practising in property law in NSW advising on property law matters. This webinar is for practitioners with some knowledge in this area and looking to improve their knowledge.